Hello, and Welcome! If you're new here visiting for the tour, I'm so glad you're here! 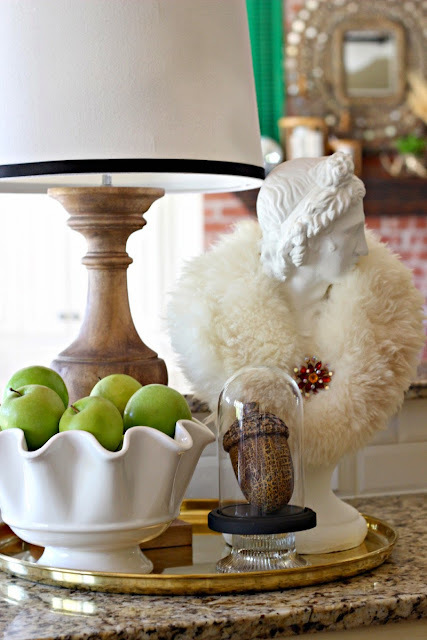 I was so thrilled to be asked to participate in the Modern and Fresh Fall Home Tour by my blog buddy Lindsay from The White Buffalo Styling Company and Kristen from KFD Designs. I will say it was a bit intimidating once I saw the list of amazing bloggers that were taking part. I have so enjoyed all of the tours this month! I thought my turn to share would never get here! 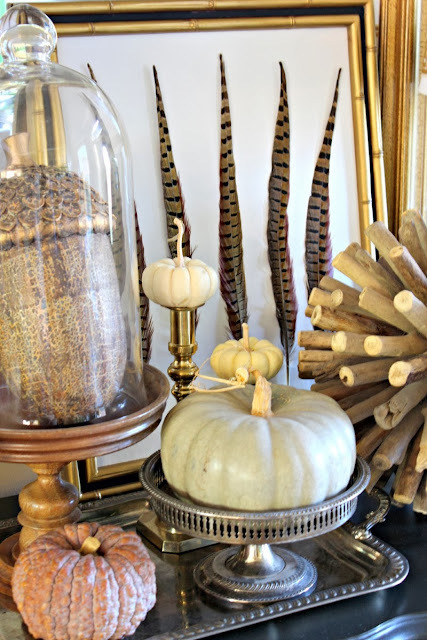 This year, as I thought about "Modern and Fresh" decorations, my theme was mixed metals, natural elements, and a surprise pop of color here and there. So, come on in and take a look around! 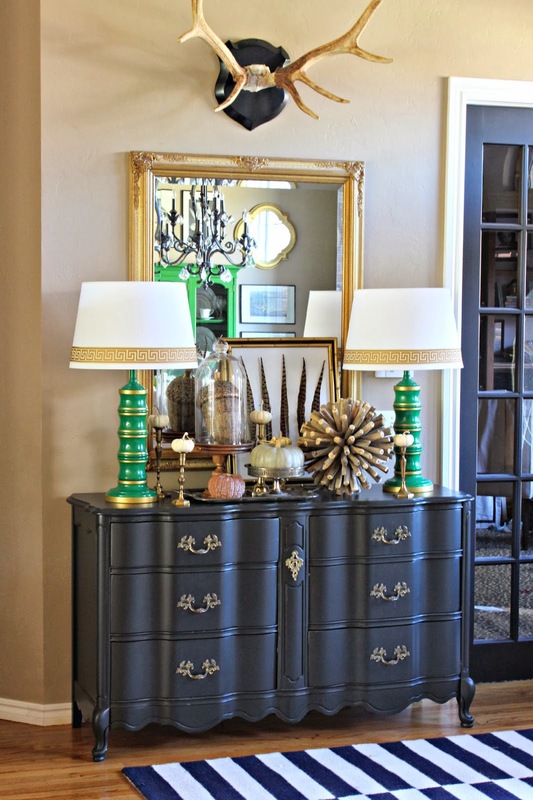 In the entry I kept my made over thrifted lamps and added lots of metals and textures. I borrowed the feather art idea from my friend Kim and layered that with the mirror over the dresser. The mantel (see more here) got a big dose of unexpected green on some old shutters, along with more texture and mixed metals. Oh, and a disco ball. A disco ball is always good. The built-ins didn't get much of a change, but some things that are always there naturally lend themselves to Fall...the lanterns, feather lamp, owl, and wood piece. 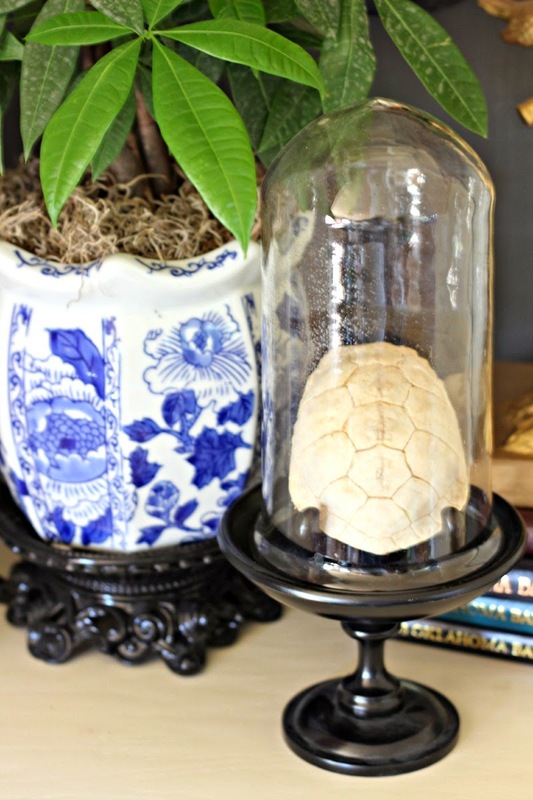 Anything looks better under a glass dome, right? I love this little turtle shell that a dear friend gave me for my birthday one year. 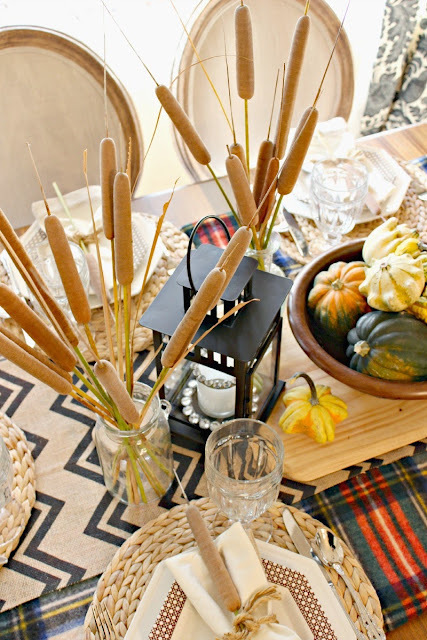 I was inspired by an image on Pinterest to do a big vase full of sticks, and isn't that vintage plaid thermos just so fun? 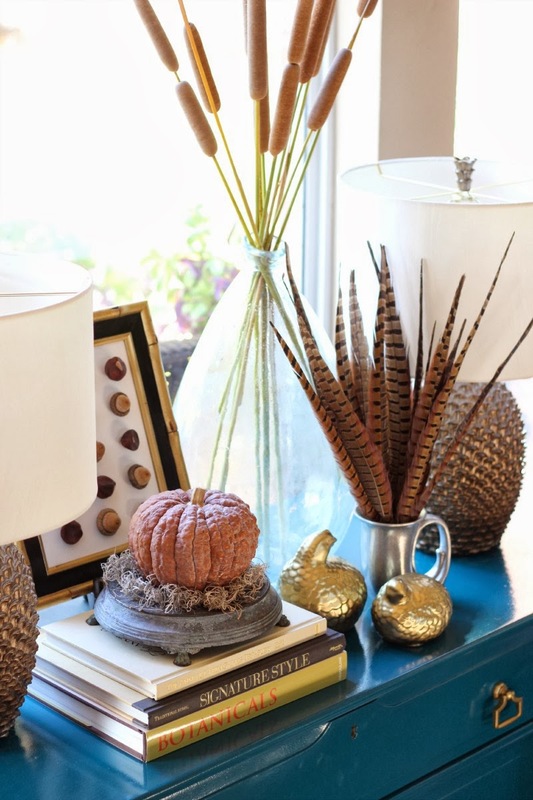 On the blue dresser I switched out the white lamps for my favorite pinecone pair and added the best decor of all...things I found outside! but for everyday I keep a few simple items on the table. A faux Ikea sheepskin rug makes do for a runner, and I loaded up an old dough bowl with giant pine cones and pheasant plumage that my sweet neighbor gave me. That may not be your thing, and I didn't think it was mine, but those feathers are just SO colorful and gorgeous-it was perfect to add to the mix! 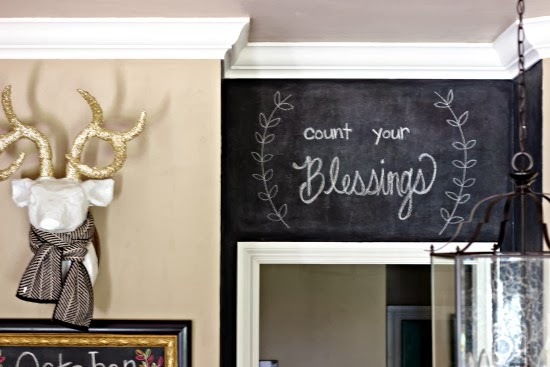 In the kitchen, this guy wrapped up in a scarf to keep him warm, and the chalkboard wall got a simple new design. For the table in the kitchen, I just got out some of my favorite things and piled them on. This table is layered up...a plaid blanket, a burlap chevron runner, seagrass placemats, pizza peel, a wooden bowl, squash, and cattails! Looooove this Jen! So beautiful and loaded with tons if amazing texture. Your home never ceases to amaze me! Jennifer, we've got a sitter, we'll be over for dinner tonight. ;) Ha. The tour was stunning. 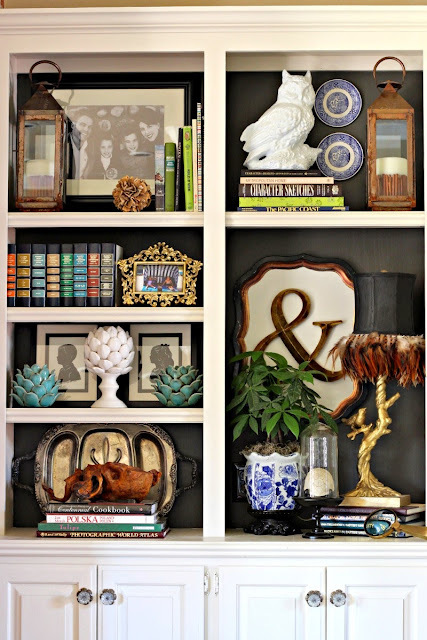 Love the layers of patterns and textures. Gives me the courage to try to mix things up a bit more around here. Thanks for the mention too. 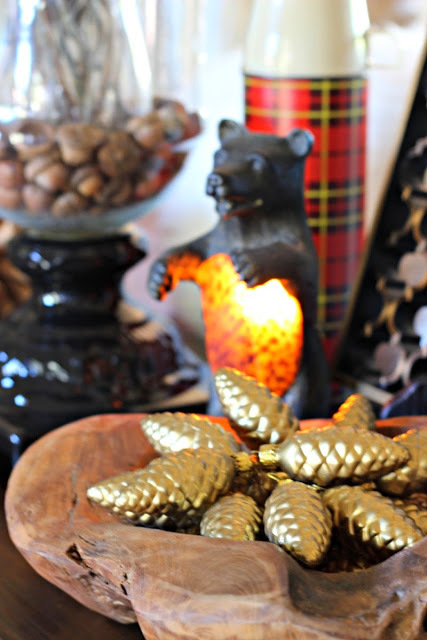 :) I'm in love with that vintage plaid thermos and acorn art, so fun! 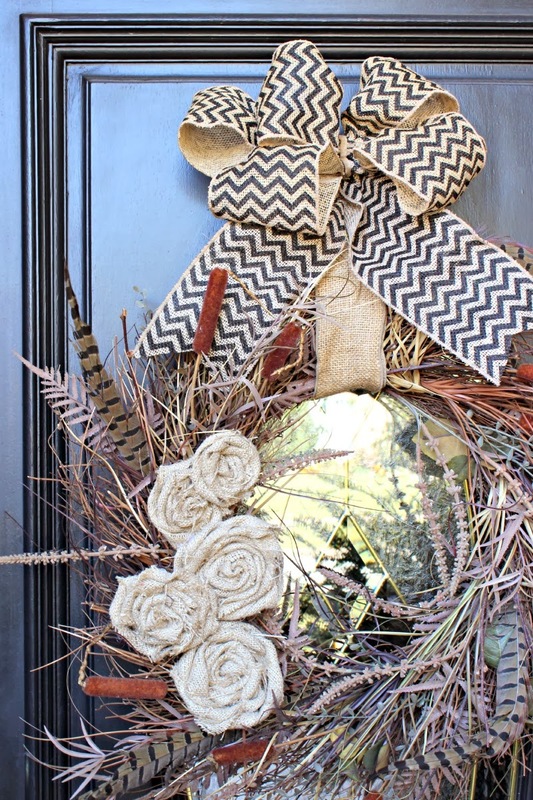 Every time I "visit" your house I catch new details that I love! 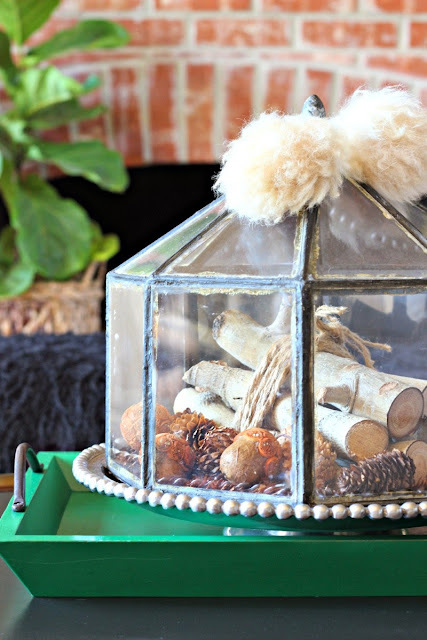 your home is so gorgeous, cozy and dramatic! i love it! 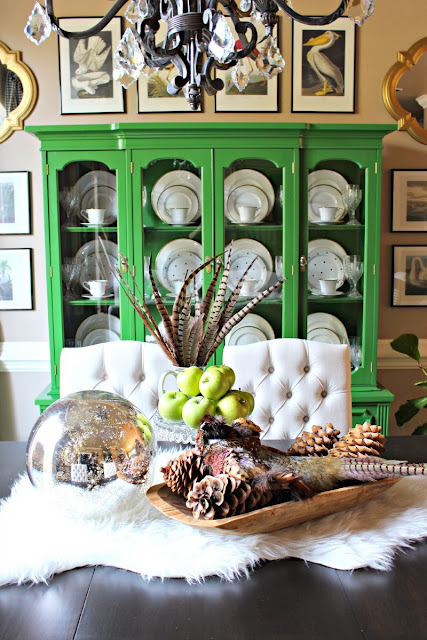 i love the pops of green combined with all of the natural elements and i love that it is a true reflection of you! 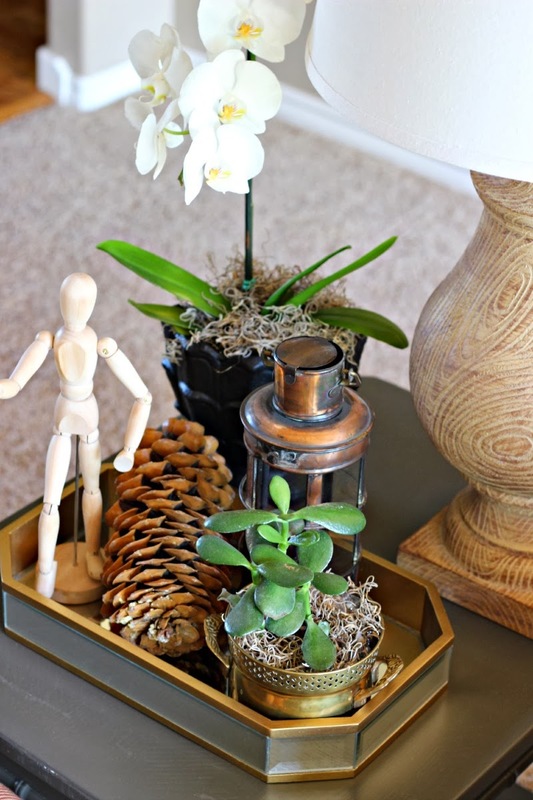 The textures and colors that you have used in your home are so wonderful! I love every little bit of your take on modern fall! Hi, I'm a new follower. Your house is so pretty! I absolutely LOVE the framed feathers and acorn art! Thanks for the inspiration! I'm going to try to duplicate both ideas. What did you alternate the acorns with in the frame? So so gorgeous, Jennifer! Nobody does layering as well as you do. There is so much too look at and I adore every single detail. 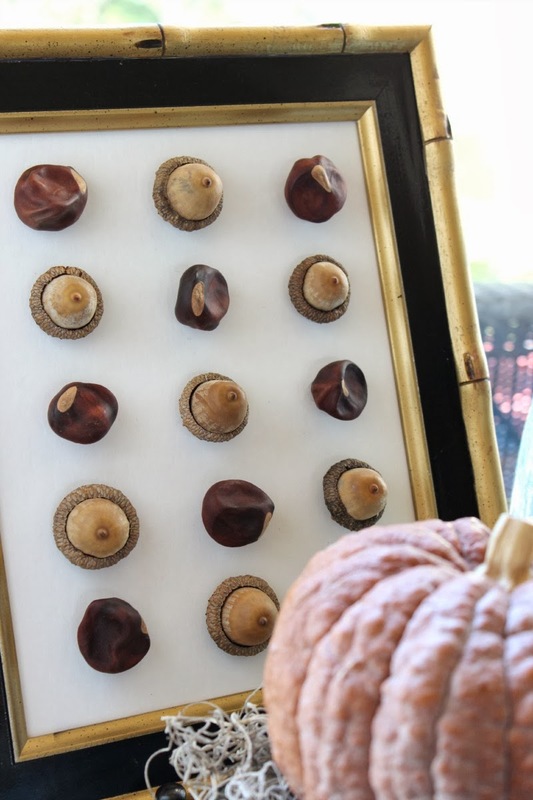 Those framed acorns are so pretty. So inspired! Your photos look like they should be in a magazine somewhere. Really love everything you did here! I ADORE all the details - the pom poms on the terrarium, the shawl and pin on the bust form - FAB!! Awesome tour Jennifer...you know I love your beautiful home! Gorgeous tour! 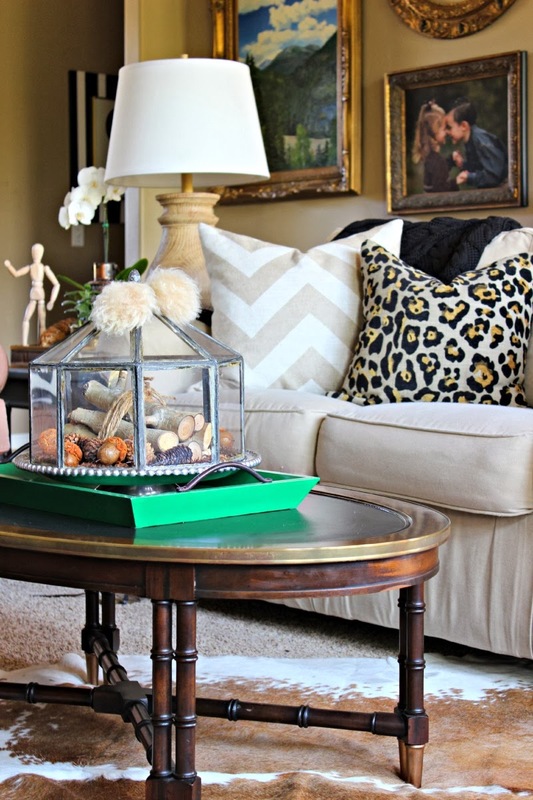 I love the mix of colors, textures and patterns that you have in your home - it just WORKS. Thanks for sharing! 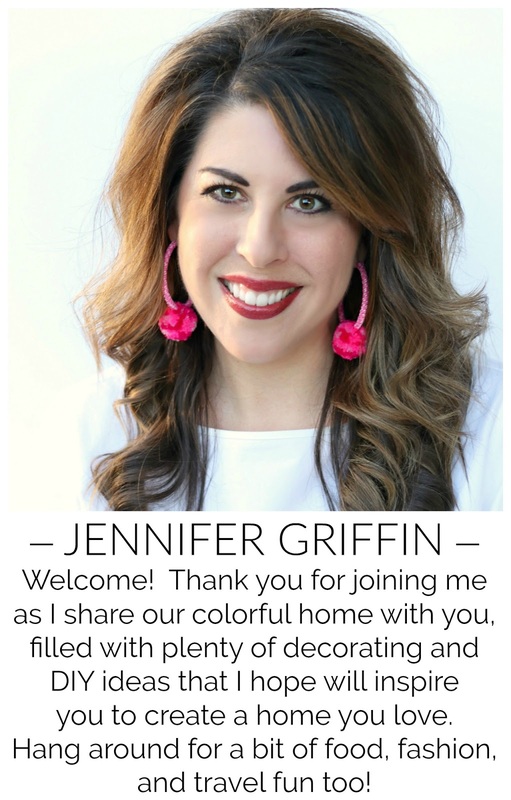 Jennifer your home is beautiful and your tablescapes are gorgeous! Thanks for sharing! 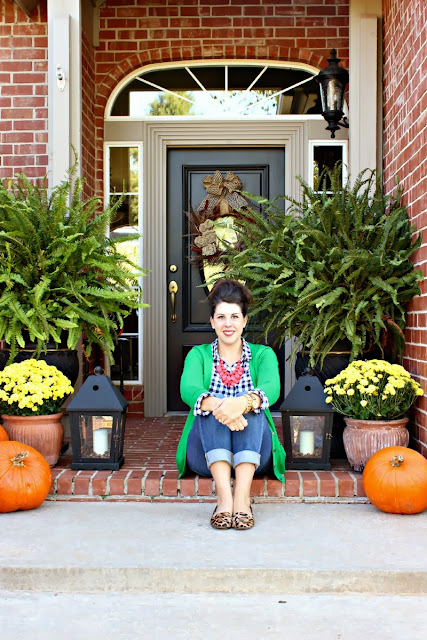 I always love seeing your home Jennifer, and love this whole tour of all your pretty spaces all dressed up for fall!! Your vignettes are always so fabulous!!!!! Oh yes...disco balls are ALWAYS good! 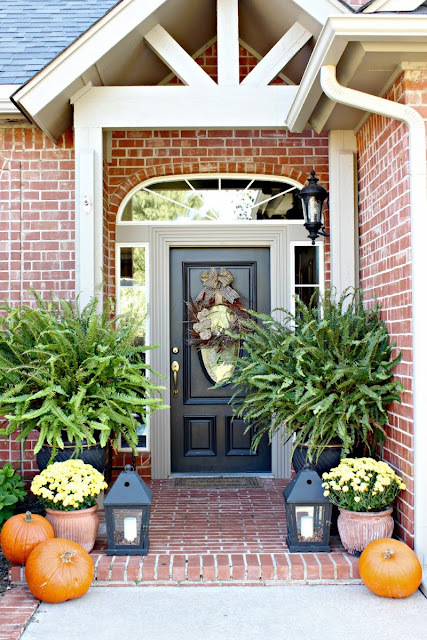 Your home is totally decked out for Fall and is gorgeous! Seriously beautiful! You are always so spot on! I love it. Yes, I do want to come for dinner! :) Everything looks gorgeous for fall, I love all your additions of nature here and there! Beautiful job, my friend! 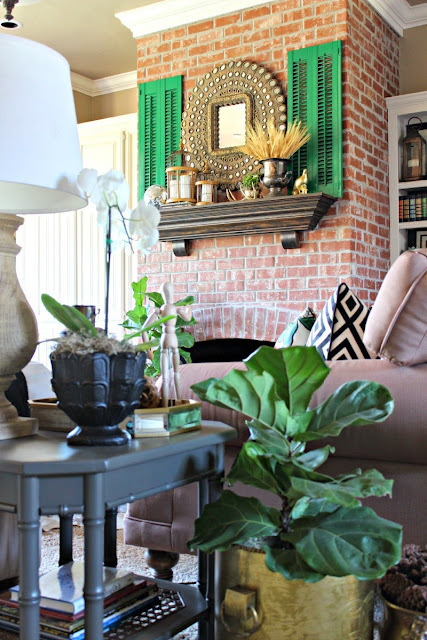 You have layer upon layer of textures and patterns and the green really pops and everything comes alive! Warm and inviting. 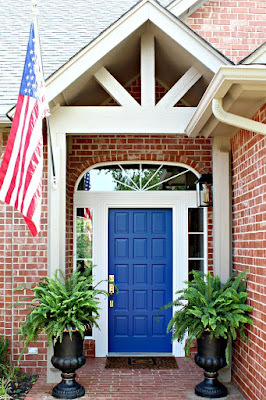 your home = stunning! 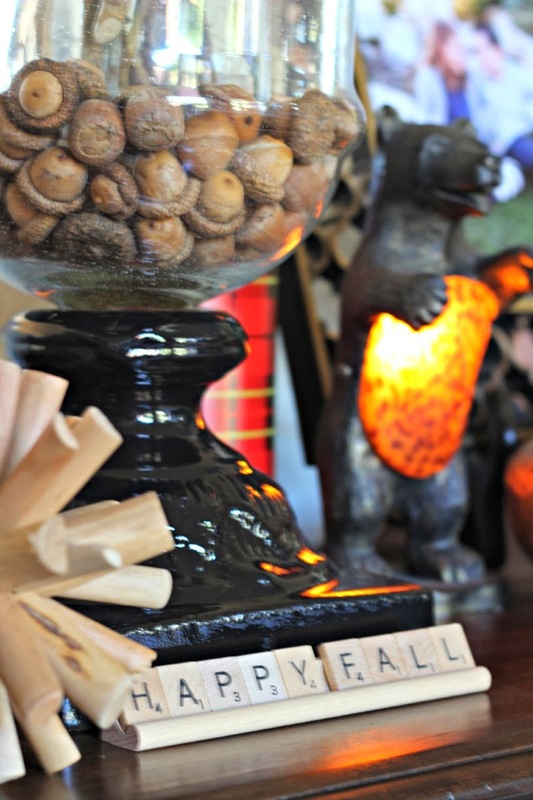 love all the fall touches. the wrap on the bust! the green shutters. gorgeous! 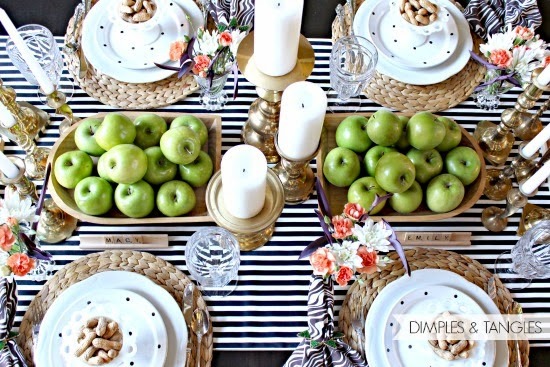 Girl can set a table! Wow.....everything is perfect....great styling and photography! Your attention to detail is blowing me away. 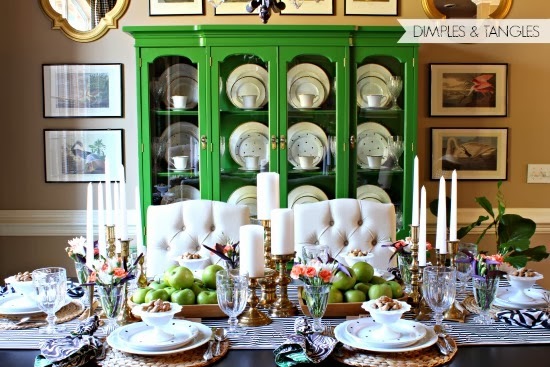 And I'm with Sherry...those tablescapes are unbelievable!!! I'm catching up from the conference over the weekend, so sorry for late commenting :) But I'm posting yours today. Amazing, amazing job, Jennifer!!! Your home is so beautiful, so many pretty details! 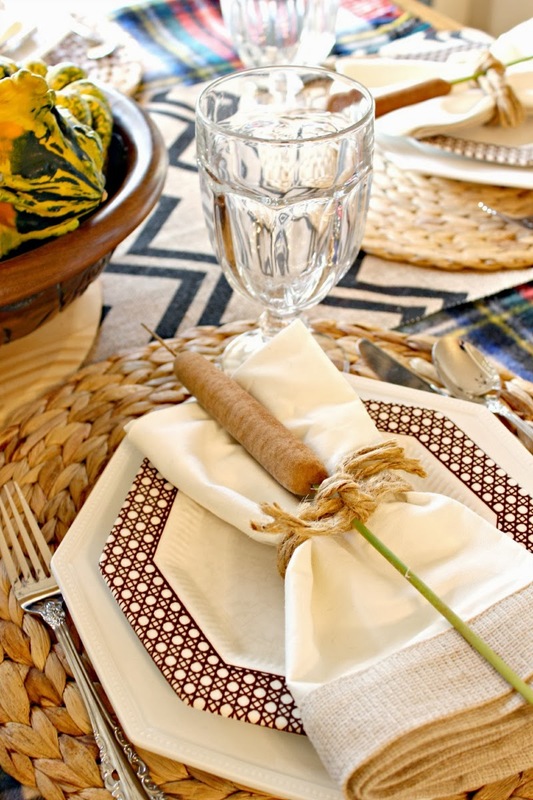 You have an amazing eye for tablescapes! 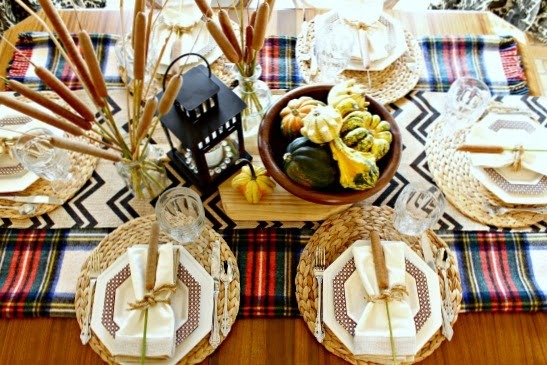 i love the idea of putting the little pelt on the table!! I saw that mirror above your fireplace @ Pier I and liked it. 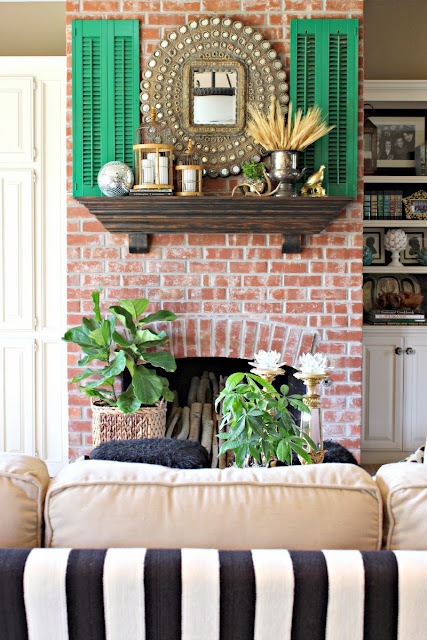 Love the way you combined it unexpectedly with the green shutters. I remember a plaid thermos like the one you show from my parents' garage thrown in with camping gear. Just goes to show, be careful what you get rid of! Great fall tour, really enjoyedit. 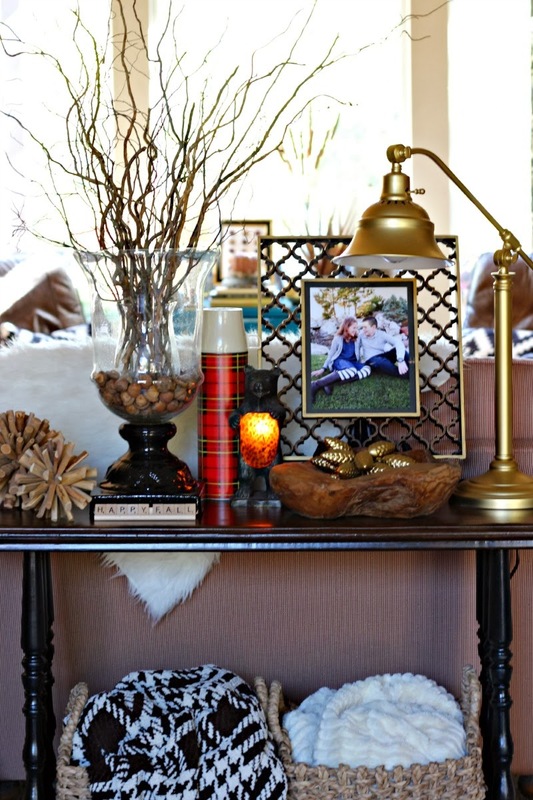 I love how you decorated for the holidays, every photo is picture perfect! I actually included one of your tablescapes in a roundup I posted on Friday. You have a beautiful home. 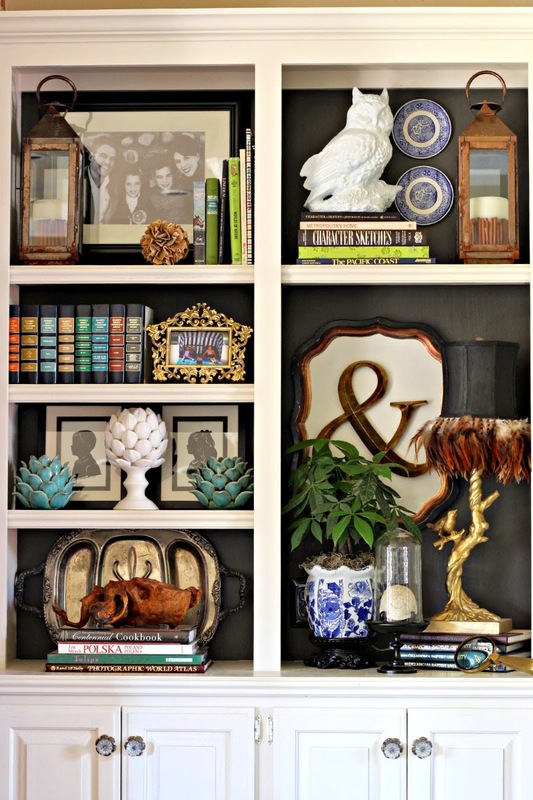 I really enjoy the eclectic combination of natural finished with more refined ones. I would like to have a similar feel in my home.